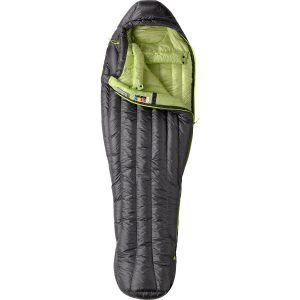 Awesome bag for summer, sleeps warm down to temps below freezing. 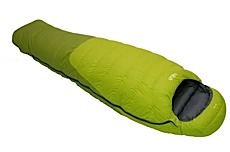 Super light, super packable. Awesome bag for summer, sleeps warm down to temps below freezing. 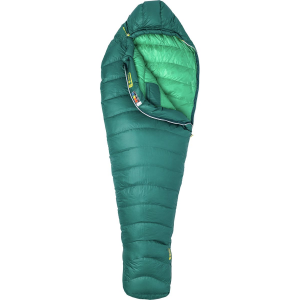 Super light, super packable. It is nice to have a draft collar on a 30 degree bag. The fit is nice too, a lot of minimalist bags are claustrophobic. This bag has a full length zipper and I sleep well in it (I'm 6'1" 220). 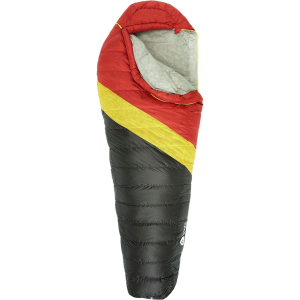 I've used it all over the Rockies, mostly just the summertime, but a few nights it got below freezing and I was totally warm. The bag breathes well, one night didn't get below 50 and I was not overheating. All in all I'm very happy. I was hesitant to use a 30 degree bag for a long time because I don't like being cold, but once I switched, I won't add the 2lbs I'm saving back into my pack any time soon. Super bag, very warm to below freezing. High price very worth it. I call this bag the inferno. I bought the Plasma for its weight and its EN rating. I was surprised to find that it was very warm. I use the bag April to October with a variety of thermal underwear and very seldom zip it up all the way in the summer. I consider myself a middle of the road sleeper for temperature. The only time I recall being cold was in a blizzard when the temperature went to the mid twenties (24 degrees with midweight thermals). Two chemical heat packs about 3 a.m. in the morning brought the temperature to very comfortable inside the bag in minutes. The Plasma has a wonderful fit for an active sleeper. The zipper works well, only snagging occasionally, making it very easy to get in or out. No need to compress this bag. You can stuff it quite small without a compression sack and the 900 fill is very lofty after stuffing. This bag is well made and Marmot has figured out how to keep the down in the bag. The exterior material feels and looks delicate, but appears to be quite hardy. The Plasma is one of my favorite bags and my first choice for most trips. I cannot think of a negative expect the price, and considering what I got for my money I would not hesitate to buy another one. The Marmot Plasma 30 is not available from the stores we monitor. It was last seen June 14, 2018	at Backcountry.com.